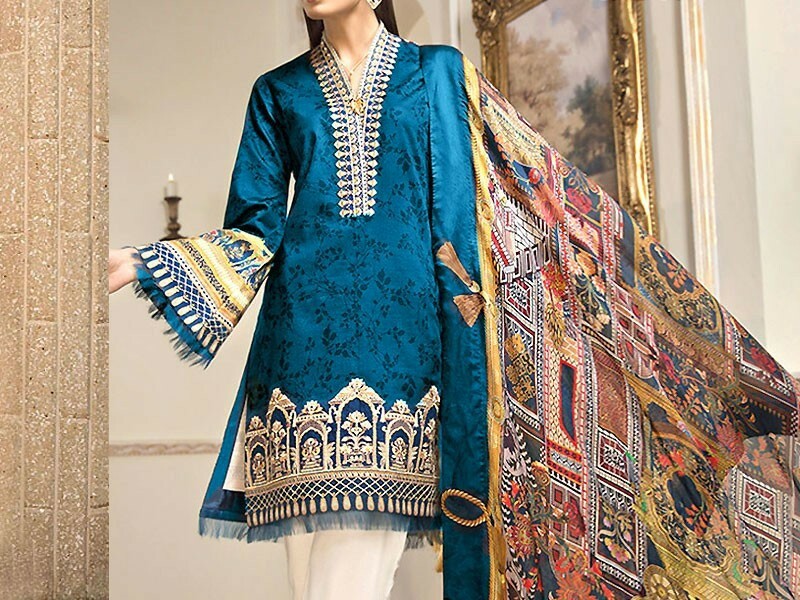 The latest Lawn 2019 has hit the market with the vibrant mind blowing colorful stock. The VS Classic Lawn 2019 launches this year’s summer collection in a whole new style with suitable fabric and attractive patterns. After the coolest winters, we are back with the traditional lawn suits this summer, 2019. There is a massive number of three-piece suits available in the stock at lower prices than before so avail the opportunity before it gets late. You can find all the designs and pick yours from the website, yes! Just a click away! Have a keen look at all the suits available because this time there is something new to grab your attention. The unique styles and special summer colors make it different for every lawn lover. The quality of fabric is promised and will not let you complaint, our word! Pick your suit and enjoy this summer with the latest collection introduced only for you! Let’s get back to our cultures into this summer with the various collections of Pakistani Lawn Suits. All types of suits including the lightly embroidered ones for this summer are available at one click away! The entire collection of Pakistani Lawn Suits presents the prices mainly, giving the ease to customers to make their choice being at home only! Get into track and enjoy this summer with the latest and most wanted collection by all the ladies out there! The best designs and beautiful colors are now in the market. You will find every type here from simple to embroidered suits, from dark tone to light colors, from floral designs to distinctive colorful patterns. Once you go through the entire stock, you will not prefer any other collection, we promise! Find your match and pick them up from the bunch of lawn suits. Be the first person to have the pick out of the stock to out stand this summer.